HomeUncategorizedCyberDERM…the sunscreen company from Ottawa! Did you know that CyberDERM is a Canadian company from Ottawa, Ontario? Mahogany Salon and Spa carries “Every morning Sun Whip SPF 25” and “Simply Zinc Sun Whip SPF 30” perfect for blocking damaging rays from our skin. This sunscreen lets you “Live in the Light”! Founded in 2008 by Canadian physicians, Denis Dudley and Sharyn Laughlin, CyberDERM creates products that are safe, aesthetically elegant and effective. 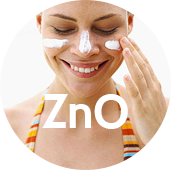 Products include zinc oxide facial sunscreens with the highest zinc oxide concentrations available in the market. Get summer ready with CyberDERM at Mahogany Salon and Spa!